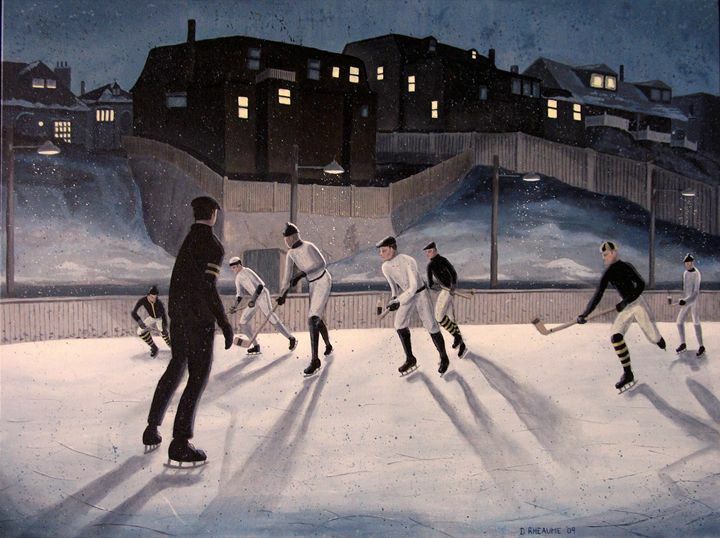 Pro hockey being played in Christie Pits, Toronto, circa 1912. 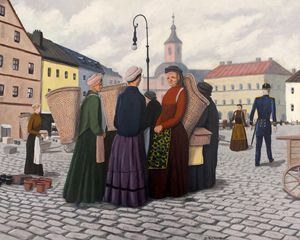 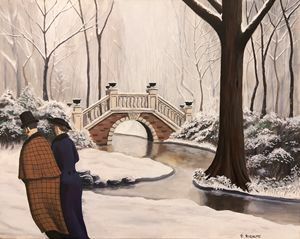 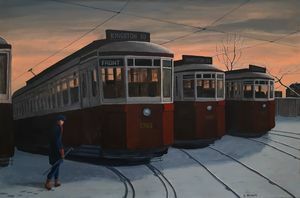 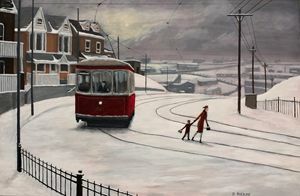 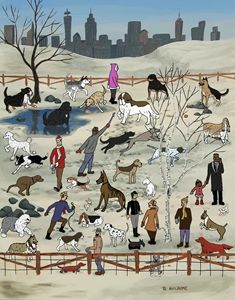 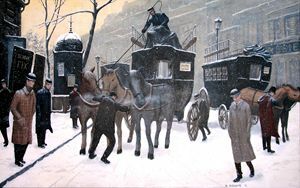 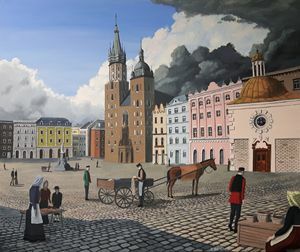 Dave Rheaume is an award-winning artist from Toronto. 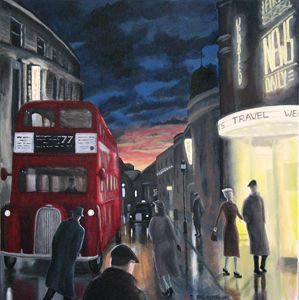 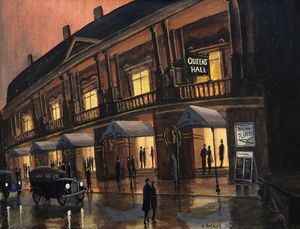 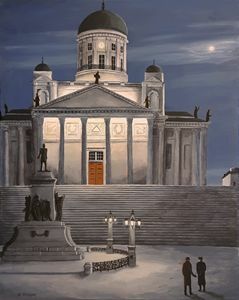 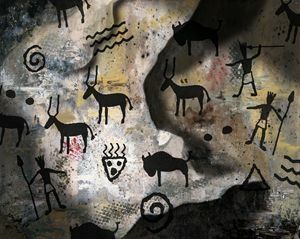 He worked for 30 years in film and television, and now that sense of lighting and cinema is apparent in his paintings. 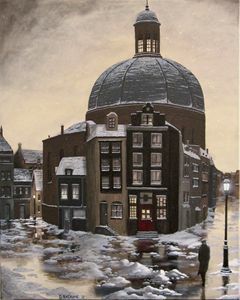 His work has homes in Canada, the United States and Europe.